There aren’t many sporting events that have stuck with Americans as a whole as much as the U.S. Olympic hockey team’s win over the Soviet Union in 1980, and then subsequent gold medal win over Finland two days later. For those of us of a certain age, it’s one of those “I know where I was when…” moments. Keep in mind, for historical perspective, this was a seemingly simple hockey game between a bunch of kids, true amateurs, from the United States, beating an invincible team from the Soviet Union — amateurs, but only because they were technically in the Soviet Army — and doing so during the Cold War. Oh, and by the way, the Soviet Union had won every Olympic gold since 1960, and embarrassed teams of NHL all-stars. This month’s CYITML “C” word is COACH, which is someone who understands the game; is an independent thinker; a good self-evaluator; and offers enthusiasm. That can apply to our daily lives at home or at work, or as part of an athletic team. Of course, that also can apply to a, well, coach. Considering we’re currently in the thick of the Olympics and next week, February 22, marks the anniversary of the win over the Soviets, it seemed like a good time to break out this Q&A between Kansas Citian and CYITML supporter, Ken Morrow, who was a defenseman on that 1980 team, and CYITML Director Matt Fulks. The main focus of this conversation is coach Herb Brooks and his influence on the team. Although the movie “Miracle” brought Brooks more to light several years ago, he isn’t considered one of the greatest coaches of all-time. He should be. Matt Fulks: I can’t believe it’s been so long since that magical moment. Ken Morrow: I’m reminded of it every time I look in a mirror. [Laughs.] It seems like yesterday, though. Hearing Al Michaels’ call still gives me chills. It never gets old hearing that. I still get people writing me on almost a daily basis, telling me how they were watching that game as a kid, sitting there with their dad. Now I’m getting kids who are writing to me telling me how they learned about it from the movie, so it’s being passed down to another generation. 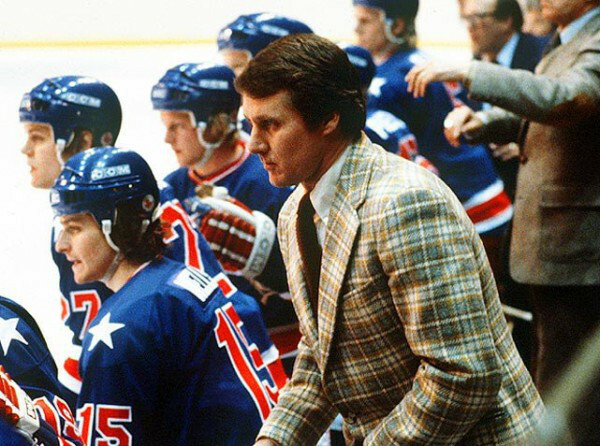 MF: Are you ever amazed at how there was this perfect combination of coach in Herb Brooks, and Brooks putting together a team of, let’s face it, many kids not really seen as Olympic prospects? KM: Yes, because he took this group of North American kids, and he wanted to play a European style of hockey, which was almost 180 degrees from what we’d been playing our whole lives. We used those six months that we were together as a team as our training camp, preparing us to eventually beat the Soviets at their own game. I say to this day that that was the best skating team that I ever played on. That was his plan all along. He wanted a team that could skate with the European teams and one that could hold onto the puck. Those are the types of players that he chose. MF: Was his entire focus, even going into the tryouts, to beat the Soviets? KM: We couldn’t put all of our focus there, but certainly they were the team that everybody knew you had to go through to win a gold medal. So, I think in some regards yes, his focus was on finding a way to beat that team. MF: An odd thing Brooks did, at least on the surface, was scheduling an exhibition match with the Soviets a week before the Olympics. The Soviets crushed you guys, 10-3, at Madison Square Garden. That’s like the Golden State Warriors taking on UMKC. Was that in back of your minds when you played them in the Olympics? KM: The loss wasn’t in the back of our minds but it was a very important part of what we were able to do when we faced them at Lake Placid. For many of the players, it was the first time they’d been on the ice with this Soviet team. You have to remember, this Soviet team was considered the best in the world, and many of us had watched them on TV beating NHL All-Star teams and winning Olympic games. To be stepping on the ice with them, a lot of us were in awe. So playing them at Madison Square Garden helped get our nervousness out. When we stepped on the ice at Lake Placid, we didn’t have to worry about that. We could just step on the ice and play hockey. MF: With all that was going on between the U.S. and the Soviet Union at the time, did Herb Brooks have to say much to you guys to motivate you? KM: He didn’t have to say much, but he did give what I’d consider the best motivational speech I’ve ever heard. They did a pretty good job of recreating that in “Miracle.” He basically said, “You were born to be a player. You were meant to be here at this time. This moment is yours, so go out and take it.” It certainly wasn’t a rah-rah speech, but it was the right words at the right time. Part 2 of this conversation with Ken Morrow will run on Friday, February 23, on what would’ve been the day between beating the Soviet Union and playing for a gold medal. Want to get monthly messages from Dayton Moore and "C" You In The Major Leagues news delivered directly to your inbox? Sign up today! For more information about Dayton Moore’s book, “More Than A Season,” including how to get an autographed copy. Would you like Dayton Moore to speak at your corporate, civic or church event? Contact us for details and availability. If you’re looking for ways to volunteer with “C” You In The Major Leagues, we’re looking for you. Contact us and let’s see how we can work together. At “C” You In The Major Leagues, our vision is to develop a youth baseball academy and character-based baseball leagues that will inspire tomorrow’s leaders, help families in crisis, promote education, and support faith-based programs and ministries. Get monthly messages from Dayton Moore and “C” You In The Major Leagues news delivered to your inbox. © 2019 "C" You in the Major Leagues is a component fund of The Signatry, a 501(c)(3) foundation.